Maine’s Jud Caswell is a little bit like a one-man folk festival. You’ve got your banjo picking, your Irish drinking songs, a rack of acoustic instruments, and a deep catalog of award-winning originals. He’s often compared to James Taylor and David Wilcox, but his songs draw on a long musical history and wide-ranging influences from jazz and Piedmont blues to contemporary folk and rock. Jud is a lifelong musician, but it wasn’t until 2004 that he was able to pursue music full-time. 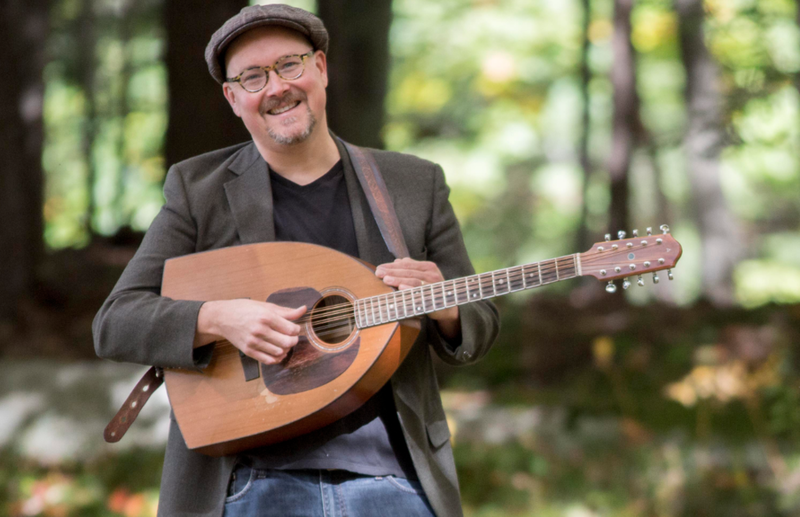 By 2008, Jud had made a name for himself on the national folk circuit, playing folk festivals from Texas to Oregon and winning some of the best songwriting contests in the country. His 2007 release “Blackberry Time” was a folk DJ favorite. Since that time, Jud has continued to work as a performer, teacher and recording engineer. With the new CD, he is beginning to tour again, with dates booked in the mid-Atlantic and the northeast and more in the works. He is grateful, as always, to be making a living in music while making a life in Maine.